One of the most universal and celebrated symbols, the Tree of Life appears in art, origin myths, and poetry from all over the world. Depicted with a sturdy trunk and outstretched branches, the Tree of Life shows how we are all connected to one another: together, we grow strong and tall. But what would the Tree of Life look like in person? We’ve rounded up five famous trees whose beauty, majesty, and lore serve as inspiration for our favorite icon. 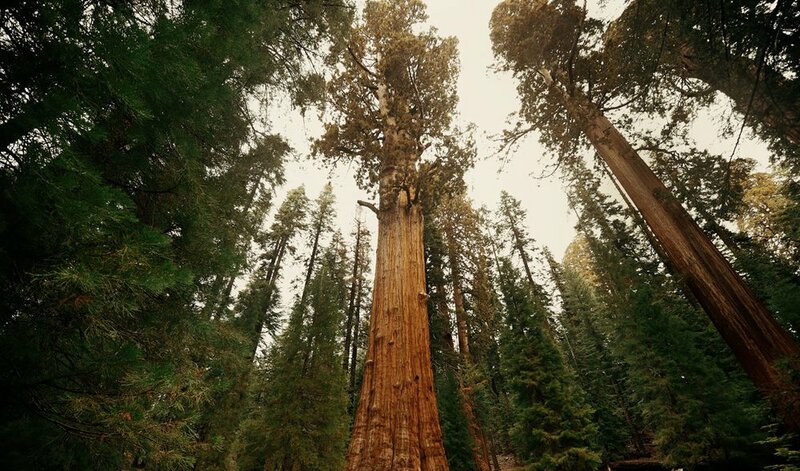 Located in Sequoia National Park, General Sherman is the largest tree in the world by volume. The General measures over 275 feet high and 100 feet wide. Scientists estimate that it’s about 2,000 years old. 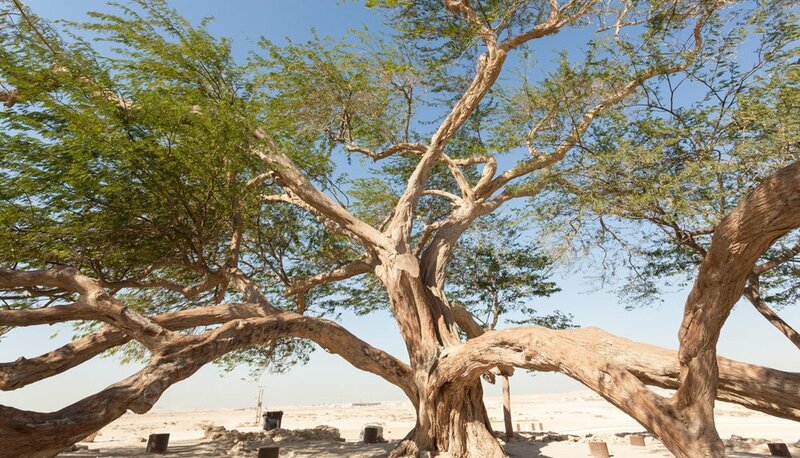 This mesquite tree is literally referred to as the Tree of Life by locals. Surrounded by miles of sand, it is a lone tree in the Arabian Desert of Bahrain. This tree baffles scientists: the area experiences regular sandstorms, 100-degree heat, and virtually no rainfall, and yet the tree flourishes. 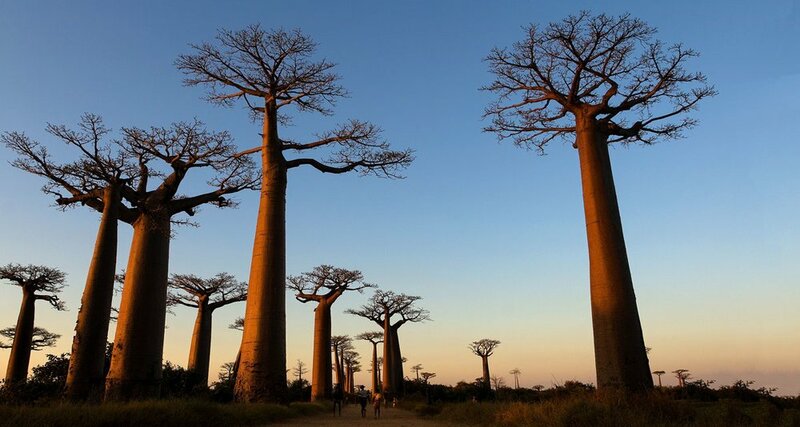 Baobab trees are some of the most iconic trees in Africa. The Avenue of the Baobabs is a cluster of baobabs in western Madagascar and their breathtaking landscape makes them a popular tourist destination. The trees are estimated to be about 800 years old and measure 98 feet high. 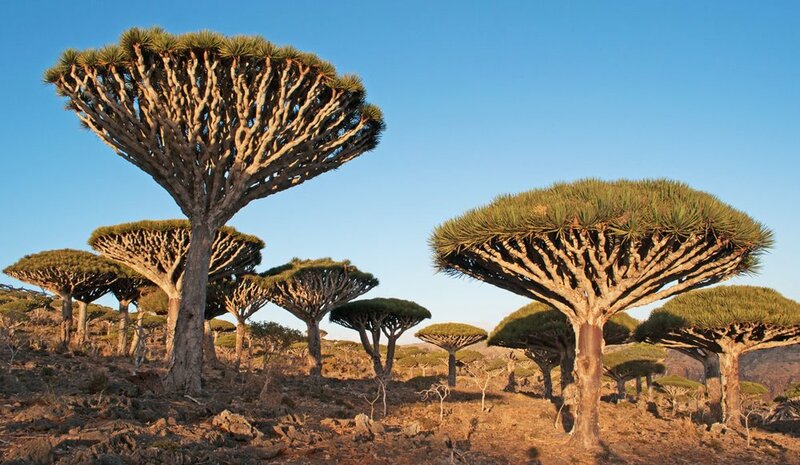 This unusual species of dragon tree is native to Yemen’s Socotra Archipelago. 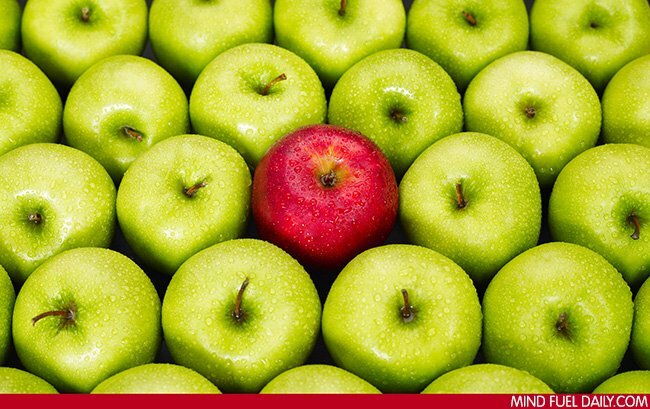 The tree is famous for its umbrella-like appearance and blood-red sap, which has been used in medicine and dyes for thousands of years. Legend has it that the tree was born from the blood of a dragon who was wounded in a fight with an elephant. 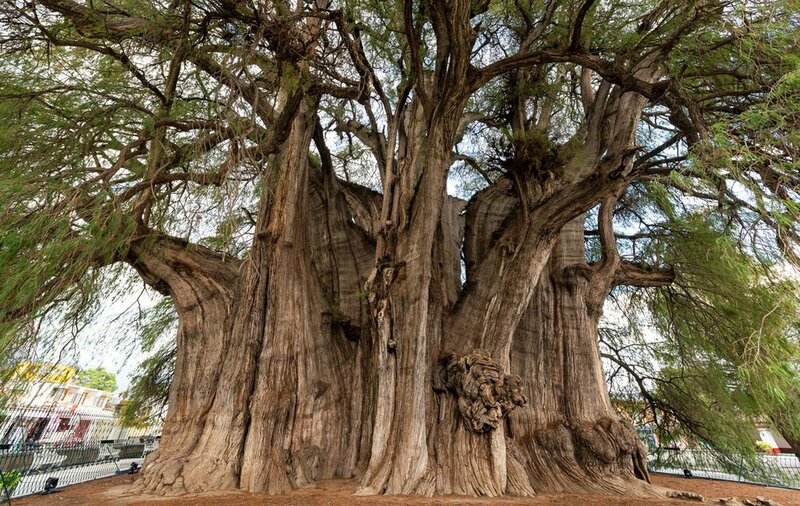 El Árbol del Tule is a Montezuma cypress and has the stoutest trunk of any tree in the world. It sits in the town center of Santa María del Tule in Oaxaca, Mexico. Locals say that if you look closely you can spot the shapes of animals in its trunk.